Tickets $10 general, $8 students, $5 Cal Arts students/faculty/staff. 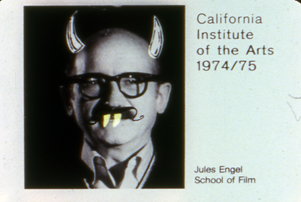 In the 1970s CalArts was the epicenter of radical artist experimentation. 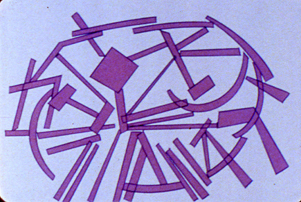 The Film Graphics Program (later named Experimental Animation) was no exception. 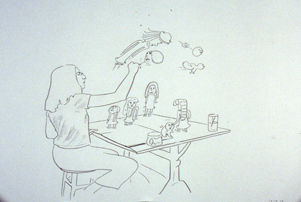 Founded and Directed by Jules Engel, the program sought to push the boundaries of animation into areas never before explored. Jules' nurtured his students, provided a safe environment for experimentation and taught that an artist must always work from their "gut." Thus, a new and unique form of animation emerged. 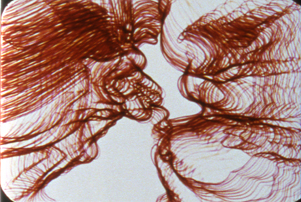 Freewheeling, transgresive, and imaginative, the films presented in this program blew open the field of animation to images, meaning and movement not previously seen. 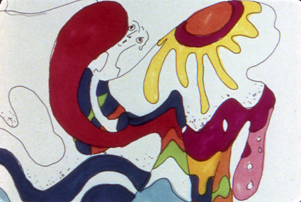 What happens when an animator follows a line, a patch of color or a shape into the unconscious? What wild images would emerge and how could one image lead to another? 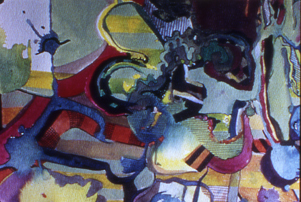 What could we learn about art, animation and the human condition from these brave forages into the unknown depths of the mind? 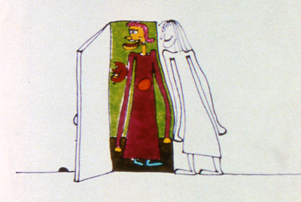 Such were the questions posed by Engel’s own films—Shapes and Gestures (1976), Wet Paint (1977), Hors d’oeuvre (1978)—and by the students carrying his legacy: Kathy Rose (Mirror People, 1974), Adam Beckett (Flesh Flows, 1974), Dennis Pies/Sky David (Aura-Corona, 1974), Henry Selick (Phases, 1978), Lisze Bechtold (Moon Breath Beat, 1980), and others. 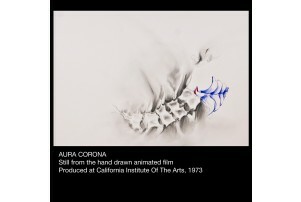 This is the 2nd screening in the Filmforum series Alternative Projections: Experimental Film in Los Angeles, 1945-1980.